We just got back from a relaxing vacation over at the beach. We were welcomed home by 20 degree increase in weather and an increase in humidity that isn't very enjoyable. As we are getting ready to get those 105 degree days again, my heart melts for some ice cream. While on vacation we made Rocky Road Ice cream on the old fashioned ice cream makers. At home we have the ice cream makers you plug in, push on, walk away and come back in an hour and you have ice cream. Growing up I remember making ice cream with the old wooden makers with ice all around it and pouring rock salt on the ice while it churned. Well this is what we did on vacation too, and boy was it delicious! 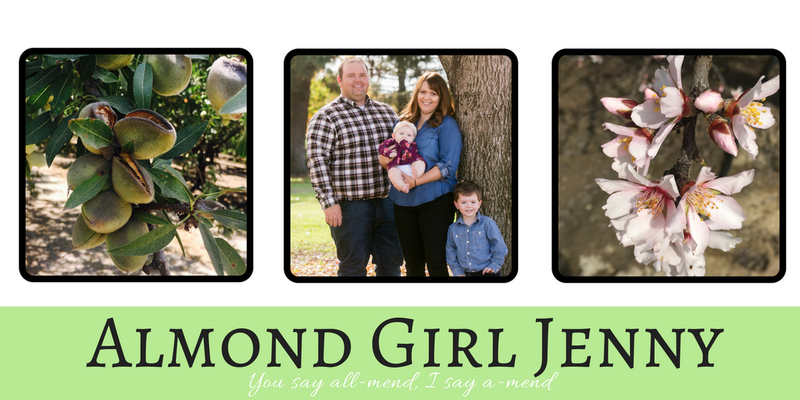 We are adding another nut to our family tree... our baby almond farmer is due in December! Almond harvest is on the way. As almond farmers say, we are in the beginning of hull split and the count down to harvest has begun! When almonds are maturing and about four weeks away from harvest, the hull begins to pull apart from the shell. 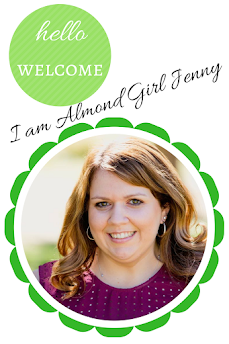 The hull is the fuzzy, green outer layer of the almond. The hull is similar to peach flesh, which is their biological cousin. Did you know that almonds are closer related to a peach than any other nut? The hull splits to allow the almond to separate from the tree and prepare the seed or almond to fall. Similar to when a peach is overripe it falls from the tree. The seed or almond is protected by the almond shell, the harder woody inner layer.